With over 5 million users EpocCam is the most popular webcam app. EpocCam transforms your iOS device into wireless High Definition PC webcam for Windows and macOS. Replace your USB-webcam and integrated webcams now with wireless high-definition webcam. It's also a perfect baby monitor, security camera and pet cam. Install Windows or macOS drivers from http://www.kinoni.com. See http://www.kinoni.com/epoccam_support.html for setup guide. In case of any problems please send feedback to support@kinoni.com. This app is very promising even for a free app. it is usable it's not demo crap where The only downside is the occasional not to intrusive ad. There's a bit of a connect delay then once it's up and running it runs pretty well. The best part is you can run thit in to camtwist And have a whole lot more fun!! like a roving camera Live feeding a projector with video effects. It Has a few bugs and clerks here and there but it's my number one pick for sending video from my phone to my computer live. I haven't really used it for anything but I still feel like I want to buy it ( it would be nice if there was a sale, I find I'm impulsive purchasing in the under three dollar range). I don't know what else to say I've been looking for something like this for a long time. When I first got this it was very promising. Automatically detects devices and connects on the same WiFi? Awesome! 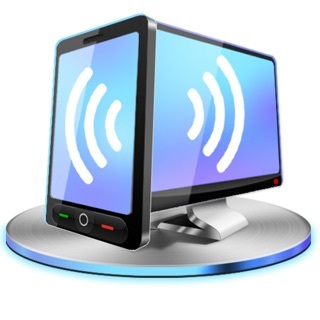 You can use it anywhere within WiFi range and with pretty good quality for a free software. Of course it would’ve been nicer to have a free 720p or native phone camera resolution but I’ll take what I can get. Users should only pay for filters that they could apply, or more recording features like slow mo. The. UI is so simple that it is confusing, I would want helper messages to get my phone connected more smoothly. It took many tries and I’m sure next time I use it, it will take more repetitive tries because it isn’t predictable. All in all though a good free webcam. I've tested this with multiple devices but I get the same results: The connection sometimes doesn't occur and you have force close and relaunch the app on both devices again and again until it connects. When you connect, on my Windows device, connection notification keeps popping up, and whenever notification pops up, camera feed freezes briefly, meaning that it keeps loosing the connection and makes the feed very very laggy. All these connection problems make the app unreliable. You cannot change the resolution or quality of the video and you cannot record within the app. There's no annoying floating watermarks by the way, just one in the corner.